A group opposing what it called normalization of white nationalism under the term “alt-right” has created a Google Chrome extension that changes the phrase to "white supremacy." The phrase "alt right" or "alternative right" came to the fore during the presidential election, and Donald Trump’s chief strategist Steven Bannon has said he wanted the news site he once managed, Breitbart.com, to be "a platform for the alt-right." "This gentle sounding name is the rebranding of White Supremacy and White Nationalism, and its normalization must be stopped," the group "Stop Normalizing" says on its website. Trump has said he condemns and disavows the alt-right. Critics have accused Trump of using language on the campaign trail seen as a dog-whistle to white supremacists. The official newspaper of the Ku Klux Klan endorsed Trump, and former KKK grand wizard David Duke has said he supported some of the GOP nominee's stated policies. Trump and his campaign have disavowed the support of both. Trump’s transition team said in a statement last week that the president-elect "has continued to denounce racism of any kind." "It is just a chrome extension — I don’t think we’re going to silence completely people that support white nationalist views. But with the reaction we’ve gotten I think there’s a nerve to be hit," the creator of the app, who didn’t want his real name used by gave the pseudonym George Zola, told NBC News. 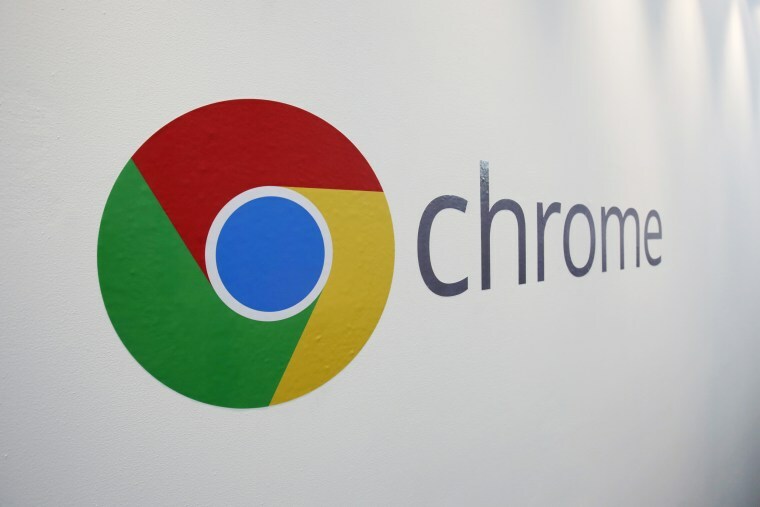 The Chrome extension has been downloaded more than 2,100 times as of Tuesday afternoon. The extension went live Nov. 16, and took a “long evening” to create, its creator said. Links have been shared on Facebook around 63,000 times, he said. An associated Twitter account has been “correcting” headlines of online news articles that use the term. The extension comes as some news organizations reevaluate use of the term "alt-right." The Associated Press on Monday updated its standards and urged reporters and editors to use clarify that the "alt-right" is "an offshoot of conservatism mixing racism, white nationalism and populism" or similar definition. The creator of the program, who describes himself as a white man in his early 30s who works in advertising and technology and lives in New York, said the attention it’s received shows many Americans don’t support white nationalism. He said the group doesn’t want the term "alt-right" banned, but "we do think it should be responsibly reported on and with context, especially being that it's a new term that many are just now learning about." "I took it upon myself to make some noise," the extension’s creator said. "It made more noise than I thought it would, but that’s a good thing." An alternate extension automatically changes the term "alt-right" with "Neo Nazi." The group says the extension "is the first of many acts of digital defiance to come." It isn't the first extension to challenge the use of the term "alt-right." A different extension launched earlier this month changes the words to "rebranded white nationalism."